HMD’s Chief Product Officer has already told us to expect Nokia’s MWC event to be awesome and we are now sure that there will surely be some smartphone launching at the event from Nokia. Nokia 9 and the Nokia 7 Plus are the two phones that are expected to be announced at the MWC 2018, and we already know a lot about Nokia 7+. In fact, just yesterday, Evan Blass leaked the official press renders of the phone that left nothing to know about the design. 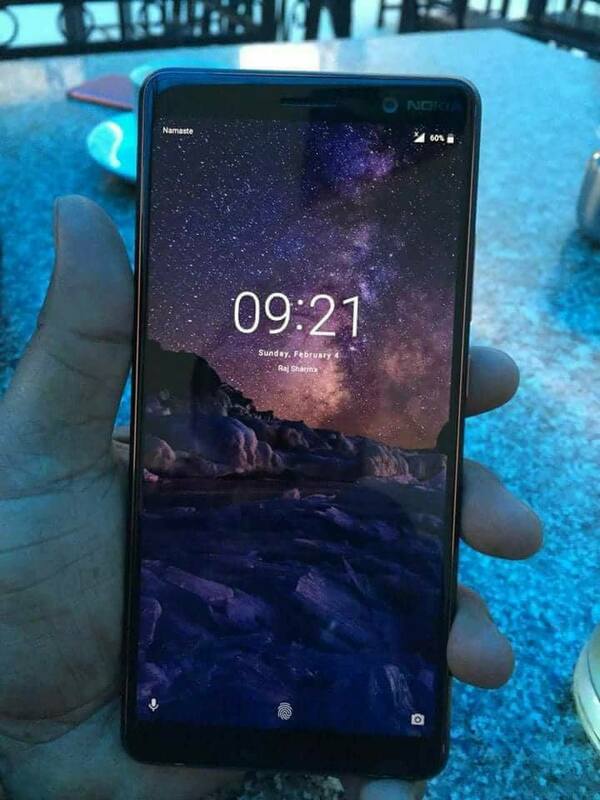 Today, we have the first hands-on image of the Nokia 7+ which shows the 18:9 display on the front. This live image has confirmed the design revealed by the renders that Evan shared yesterday. The Nokia 7 Plus has an 18:9 display with 2.5D curved glass on top. The curved glass on top of the display makes the bezels look even thinner than they are. There are on-screen navigation buttons, and the fingerprint scanner is placed on the rear. Lastly, did you notice ‘Namaste’ written on the top left of the lock screen? Well, this confirms the fact that Nokia is all set to launch the Nokia 7 Plus in the Indian market. This is surely good news since the Nokia 7 didn’t make it to the Indian market. 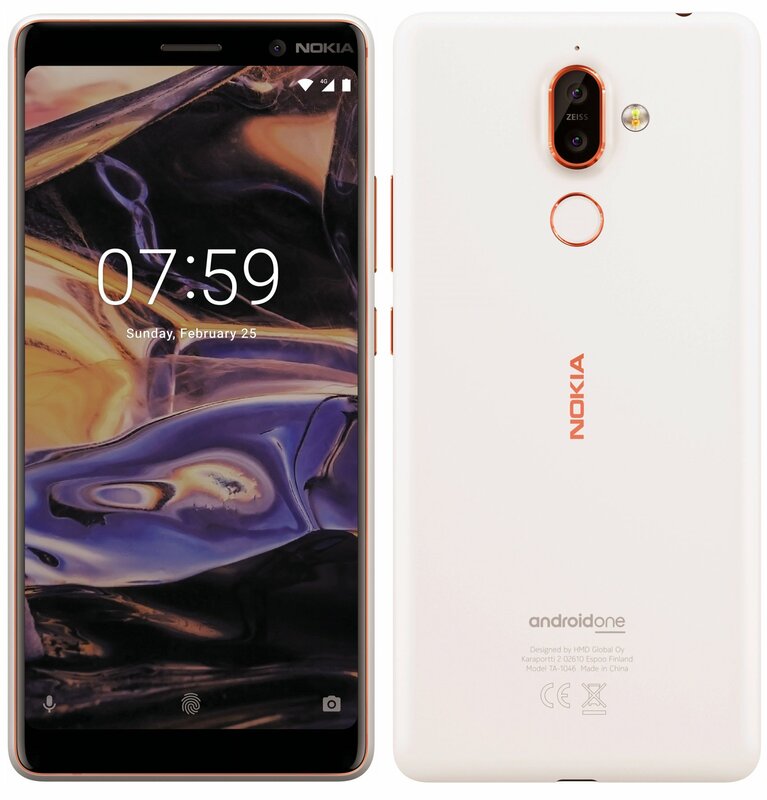 As per the specs, we already know that the Nokia 7 Plus has a Snapdragon 660 Processor along with dual rear cameras. We can expect pricing to be under Rs 25,000 but who knows Nokia might surprise us by the pricing!